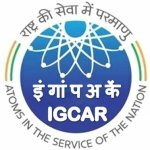 IGCAR Recruitment 2018 – Indira Gandhi Center for Atomic Research (IGCAR) has come out with a recruitment notification for the posts of 248 Upper Division Clerk, Stipendiary Trainee, Stenographer Grade III, Technical Officer, Scientific Assistant, and Technician. The last date to apply online is 17th June 2018. We have given down below the eligibility details and all the information you will require to fill the online application form along with the IGCAR official PDF. The official website where you will find all the information is given here- igcar.gov.in. The latest employment news in India brought out this recruitment vacancy and this govt job in Tamil Nadu is well reputed for jobs in scientific institutions. The IGCAR Recruitment vacancy details are provided down below and you can check if this latest job recruitment suits you well or not. If you wish to secure a govt job in India, then this is your chance to find a job which will help you find status and power in the society. The job location for these particular posts is Tamil Nadu. Given below are the details of the IGCAR Job vacancy, like Eligibility, educational criteria, Age limit, application fee, selection procedure, salary scale, how to apply etc. are given below. The eligibility of the IGCAR vacancies are given down below. Check them out for more information and if you have any doubts, leave them down in the comments section below and we will get back to you as soon as possible. The educational qualifications for the IGCAR recruitment are given down below. Stipendiary Trainee Category II – SSC with Science and Math and ITI in relevant trade are required for applying for this post. Stenographer Grade III – Applicants must have minimum Matriculation and 80 wpm in English Stenographer and Typing speed of 30 wpm in English for acquiring this post. Technical Officer – Candidates need to have BE/B.Tech in relevant discipline or B.Arch. The Process of selection involves three stages i.e. Preliminary Test, Advanced Test and Trade/Skills Test. The salary scale or the pay scale for the IGCAR Recruitment 2018 is given down below. How To Apply Online For IGCAR Kalpakkam Recruitment 218 at igcar.gov.in? Go to the IGCAR Kalpakkam apply online link provided below. Scan and upload all the necessary certificates along with the photograph. Finally, click on the submit option to complete the process. 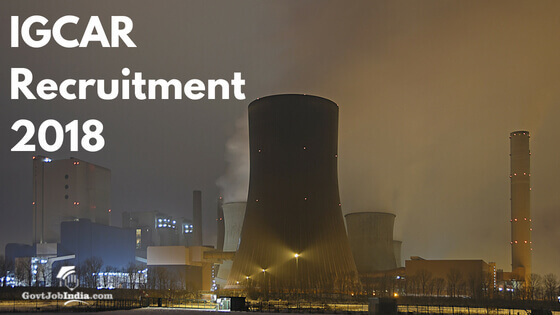 Take a printout of the application form of the IGCAR Recruitment 2018. You just checked out the IGCAR Recruitment 2018 on our site. If you have any doubts regarding the IGCAR Job vacancy 2018, then make sure to comment down below and let us know. For more information about the IGCAR vacancy details, bookmark this site. And comment down below if you have any doubts pertaining to the topic and we will clear it out as soon a possible. Other than that, subscribe to our website for more quality content on upcoming govt jobs in India.